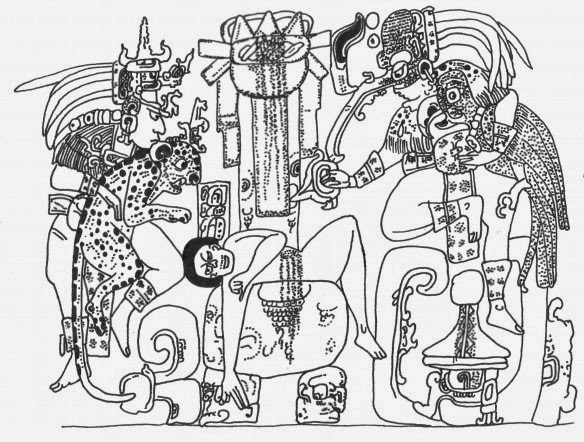 A Depiction of Mesoamerican human sacrifice, from Mark Wright's Article. 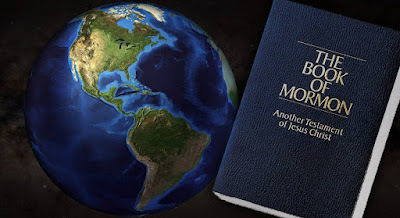 Indeed, this is a very different method of sacrifice than crucifixion, and many among the Nephites likely would not have understood the method by which Christ was killed. But, Wright notices something interesting about how Christ invites them to see his wounds. Obviously, Christ was not sacrificed in a Mesoamerican way, with his heart ripped-out. But the crucial point for all to understand is not how he was sacrificed, merely that he actually was sacrificed. A mark on the side, below the ribcage, would have communicated that message to Nephites in Mesoamerica quite effectively. In contrasting Wright’s insightful approach with that of Wunderli’s, there is an important lesson to be learned: perspective and context can change everything. There really is no such thing as a wholly “internal” reading of the text. We all bring perspectives, assumptions, and understandings to the text that are external to it, and drive our interpretations of it. Wunderli does not read the text through a Mesoamerican lens (and would not be capable of so doing, in any case), and so he finds Christ’s showing of his wounds to be a curious feature, bringing in the assumption that the wounds would make no sense to anyone outside of the Roman empire. Meanwhile, Wright shows a careful reading comparing Christ’s showing of wounds in both the Old World and the New, notices the subtle differences, and seeks to understand how a setting within the New World serves to explain those differences. I’ll leave it to readers to decide for themselves which reading is more productive.